Pour the boiling water into a heat-resistant pitcher/jug. Add the tea bags to the water and allow to steep for 10 minutes. Next, remove the tea bags, and allow the liquid to cool to room temperature before refrigerating. Once chilled, add the pomegranate juice, limes, and sugar to the tea. Stir thoroughly until the sugar has dissolved. 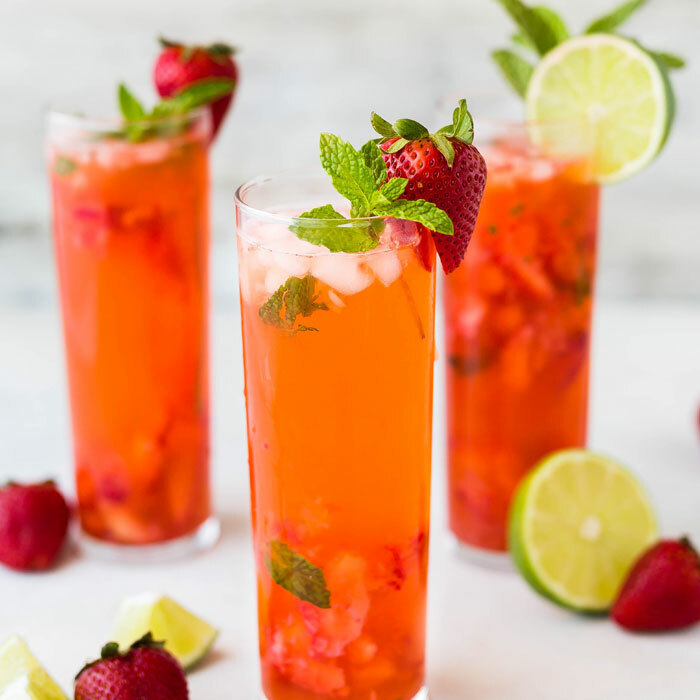 To serve, pour over ice, and garnish with a sprig of mint and a strawberry for extra wow-factor.